Life is always changing. By continuously learning and applying our accumulated knowledge, we continue to grow as humans. Tom believes these principles apply to investing to as well. It is a rigorous process of constant learning, never resting on our past successes, and never taking our clients for granted. 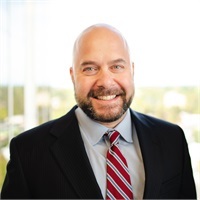 Beginning as a summer intern on the New York Stock Exchange in 1991, following with a career in corporate bond trading, a private investor, and a financial advisor, Tom has spent years learning different sides of financial markets. 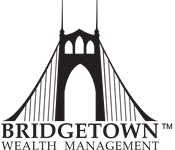 He is thrilled to have joined the Bridgetown Wealth Management team in January 2017, after spending 2 years as an independent advisor at Waddell & Reed. Tom first visited Oregon in 1998, with his future wife Amy, a Portland native. After falling in love with the city and the whole Pacific North West over the next 13 years, Tom convinced Amy to relocate here in 2011. Enjoying the outdoors with activities like hiking, camping, skiing, and snowboarding, and exploring the city by experiencing festivals, live music, and restaurants are the things Tom loves to do in his spare time. He also volunteers with the Society of St. Vincent de Paul and helps out with various autism related causes when he can.